1. Combine ingredients in a pot and bring to a simmer. Simmer for 10-15 minutes. Enjoy hot. 1. In a small saucepan over medium heat, gently simmer the apple cider for about 20-30 minutes, until reduced to 2 Tablespoons. Remove from heat and set aside. 2. In a bowl, mix to combine the flour, baking powder, baking soda, cinnamon, nutmeg, cloves, and salt. Set aside. 3. In a mixer with the paddle attachment, cream the butter until smooth and light. Gradually beat in the sugar and brown sugar. Add the egg, reduced apple cider, and buttermilk and beat until combined. 4. Add the dry ingredients to the wet, mixing until just combined--do not overmix. 5. Line a baking sheet with parchment paper and sprinkle lightly with flour. Turn the dough onto the parchment and flatten until 1/2" thick. Freeze for 20-30 minutes, until slightly hardened. 6. Using a 3 1/2" circle cutter and a 1" cutter, cut out donut shapes and donut holes. Return the cut dough to the freezer for another 20-30 minutes. 7. Meanwhile, heat the oil until 350 degrees F.
8. In a shallow bowl, whisk together the sugar and cinnamon for the sugar coating. Set aside. 9. Remove the donuts from the freezer and fry a few at a time, cooking each side for about a minute until golden brown before flipping to the other side. Remove from oil and drain briefly on a paper towel before rolling in the sugar coating. Let cool briefly before serving. Next time -- Blue Bottle! Ice cream! And more yummy goodness! Not to be an annoying East Coaster but...your "Hot Apple Cider" should really be called "Mulled Apple Juice". 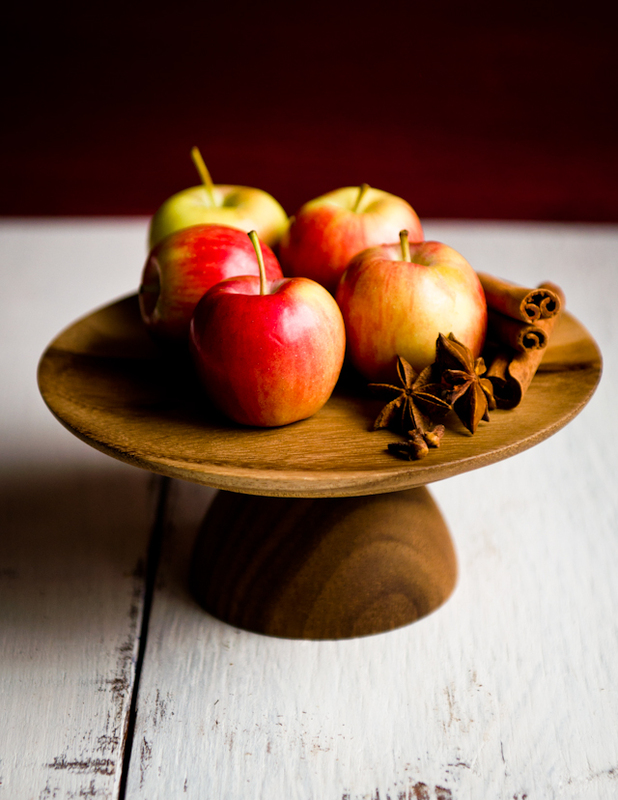 Apple cider is unfiltered raw apple juice, and when you heat it and add spices, you're mulling it, like mulled wine. 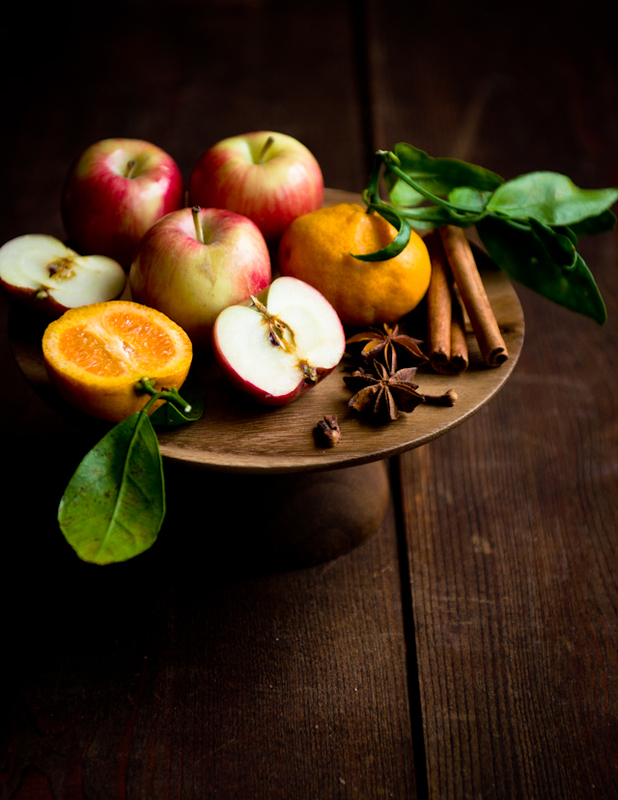 You can go from cider to juice, but not from juice to cider, and it doesn't have any spices in it to start with. 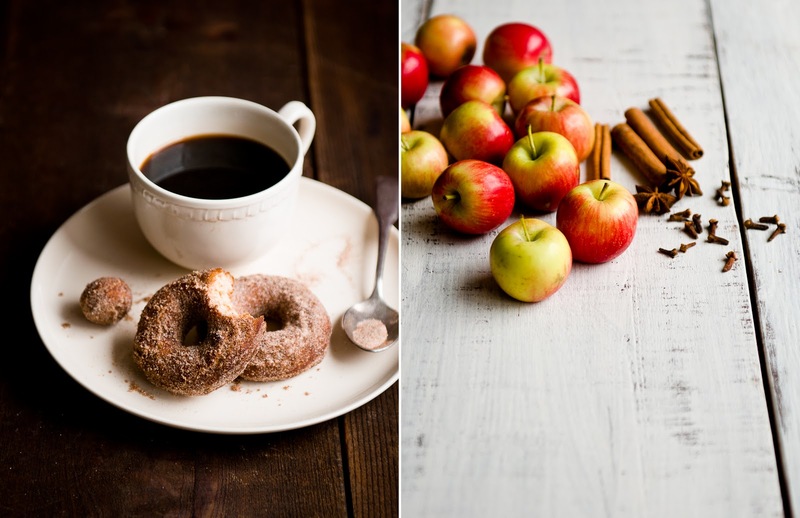 Can't wait to try these doughnuts, and I may try mulling my apple juice as per your recipe as well - I'm living in Japan right now and mulled cider and those doughnuts are some of the things I miss most about fall! You are absolutly right, every place has its pros and cons and there's no point in saying that you live in a better one. I love my land (Piedmont) and accept all of the bad and good it has, foodwise or else. Now, for exemple, we have amazing apples, but no one here makes apple cider, it's not part of our culture unfortunately. I'll love these donuts from afar. Thanks, Jackie! I actually love the SNOW and cold winters, too, but I *am* very thankful I don't have to deal with hot and humid summers out here. Even 80 degrees F is too hot for me! Gorgeous pictures. Oh how I miss fall! This recipe sounds so exciting and I am now very excited to try them out. Lovely styling too! Looks amazing. Wish I could've been behind the scenes, just to sneak a piece! 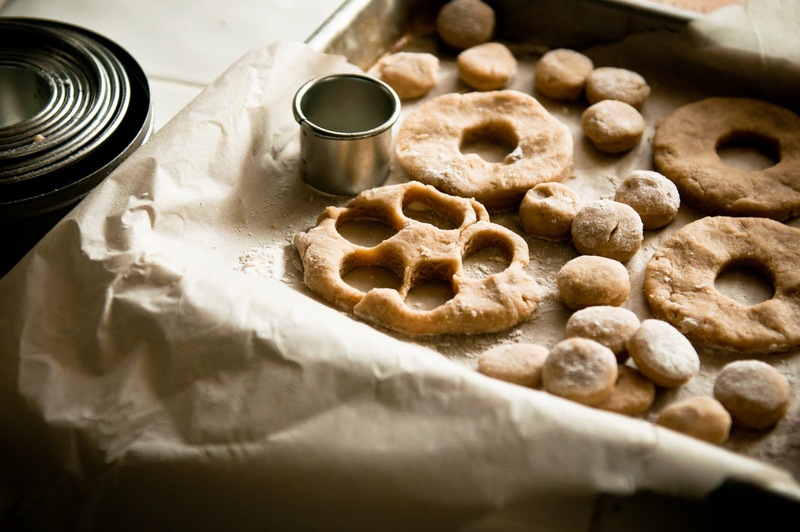 Love the images and the recipe; thanks for sharing...definitely something to try! STUNNING photos. Really beautiful. I don't usually make fried things but those donuts are so tempting. Yum! I lived through the hottest month on record for any state this summer here in Oklahoma. I guess the grass is always greener, huh? Your photographs are just amazing... the recipes, the design, your words, everything is just beautiful. You're very welcome to my reader, and my kitchen! I'm sorry, but I can't feel sorry for you and your year-round hot weather! You should have PITY on your East Coast friends! Their disdain for California's lack of seasons is obviously their way of coping with the fact that they have to slog through knee-deep (or more) drifts of snow for 3 months of the year! Pity us poor winter fools! I would have taken a day trip to California for this baking adventure! Also I'm drooling. Dammitttt. 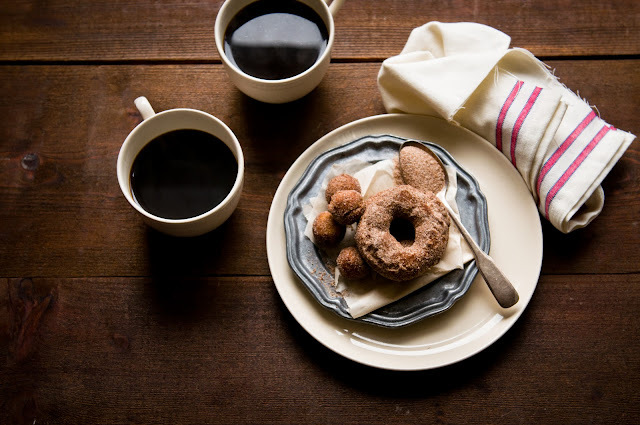 Your cider doughnuts are gorgeous and I love the mood in the photos- feels like fall. My husband and I went to an orchard this fall and had such a good time strolling amongst the trees munching on our cider doughnuts. This post brought me back. Lovely. Yup. That's my kind of breakfast...looks SO good! My goodness! Your blog is just beautiful! I'm in love. 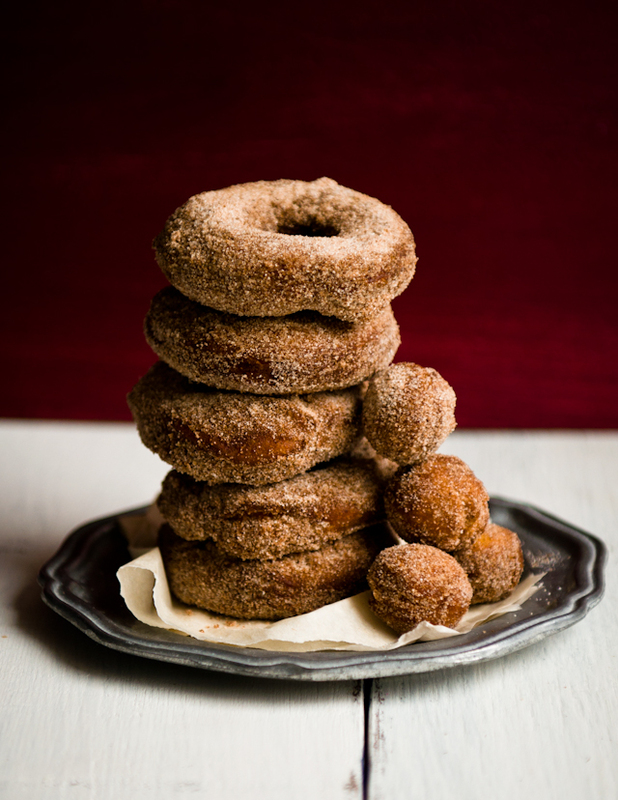 Funny, I was just talking to a doc that I work with and he was telling me about some Apple Cidar donuts that he made last week using a baking pan of some sort instead of frying. hmmmm. Anyway, I was very intrigued about the apple cidar part and almost jumped out of my seat when I saw this on FG. These photos are so warming and beautiful! I keep hearing about these donuts, but never had them since I'm from the South and now live in California. I think it's high time I get a little taste of the east coast in my kitchen! I swooned for jacqueline and now I swoon for you. It is all too much magic! I love the mood in these photos! Beautiful recipe and brilliant images.